PEORIA -- Don Lee Hinshaw, 80, of Peoria, passed away at 8:20 a.m. Sunday, January 19, 2014 at the OSF Richard L. Owens Hospice Home. Born December 23, 1933 in Peoria, a son of Bert and Dessa Prather Hinshaw, Don married Patricia Ann Palmer on October 2, 1976 in Peoria. She survives. Don enjoyed spending time with his family. Surviving are two sons, Clark (Diana) Hinshaw, Sr. of Peoria, Richard Hinshaw of Peoria Heights; two daughters, Cheryl Hinshaw of Peoria, Stacy (Mike) Johnson of Homer, IL; four grandsons, Clark Hinshaw, Jr., Jeffrey Hinshaw, Michael Johnson, Joshua Johnson; six Granddaughters, Carissa Casey, Stacy Hinshaw, Jessica Hinshaw, Tiffany Amend, Kayleigh Johnson, Nicole Hinshaw; ten great-grandchildren. He was preceded in death by one brother, Harold Hinshaw and three sisters, Helen Van Dusen, Hazel Freeze, Harriet Sheppard. 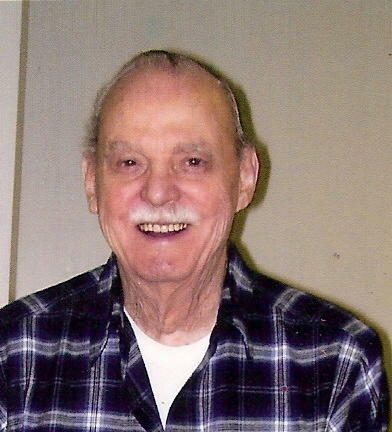 Don was a U.S. Army veteran and was a member of American Legion Peoria Post 2. Don worked for the U.S. post office 33 years, retiring as a letter carrier on January 3, 1989. He was a member of the National Association of Letter Carriers and Caterpillar Retirees. Don was an avid Chicago Cubs and Bears fan. He enjoyed playing golf and bowling, coming in second in a Peoria City mixed doubles tournament. He enjoyed boating on the Illinois River. After retiring he spent his winters in Las Vegas. Funeral services will be at 11 a.m. Thursday, January 23, 2014 at The Wilton Mortuary with the Reverend Dr. Randy Williams officiating. Visitation will be from 5 to 7 p.m. Wednesday at the mortuary. Burial will be in Swan Lake Memory Gardens with military rites conducted by the U.S. Army. 1940 census, Peoria, Peoria County, Illinois; roll T627-917, ED 104-8, page 9B-10A, line #79, household #205. Obituary of Bert B. Hinshaw.